This is a used Sony branded 45 rpm adapter ..
Includes volume motor and PCB .. 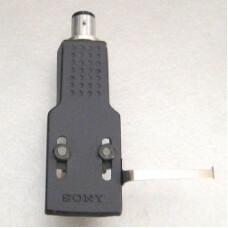 This is a used Sony headshell, which has a Shure DM 103 M-E cartridge with a Shure Hi-Track stylus. 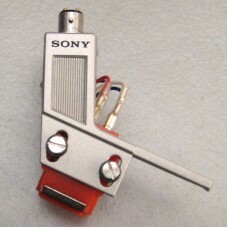 ..
Vintage Sony headshell with XL 15A cartridge and ND 15A stylus. 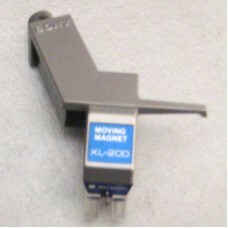 This item is used and is sold as i..
Vintage Sony moving magnet XL-200 headshell. The stylus is ND200G, but there is no guarantee ..
Works for bass or treble. Cleaned with DeoxIT..
Minor signs of use ..
Includes working lamp and string..
Quad set of legs with screws..